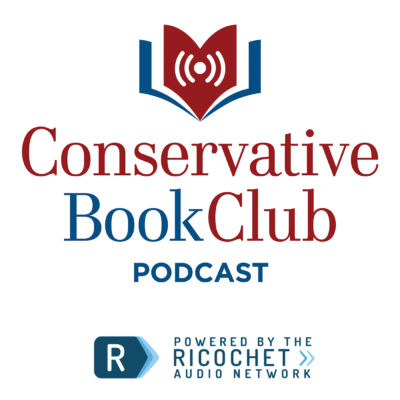 The Conservative Book Club Podcast is a candid conversation about books, movies, culture, politics, and conservatism with its host, Christopher Malagisi, Editor in Chief of the Conservative Book Club – the largest political book club in the country. Every Wednesday, listen to exclusive one-on-one interviews with your favorite authors and noteworthy leaders, thoughtful political and cultural commentary, and book and movie reviews, including occasional bonus episodes. After 50 straight weekly episodes, your host needs a little break to refresh and get ready for a brand new year of programming. So we’ll be off in December, but be sure to tune back in early 2019! In a special holiday edition of the Conservative Book Club Podcast, join us for a fun author interview with Michael P. Foley as we discuss his new book, “Drinking with Saint Nick: Christmas Cocktails for Sinners and Saints.” We also discuss the great saints and their enduring legacies, and the spirit and miracle that Christmas is. Ep. 48 – Stephen Moore Interview: What Is Trumponomics? Ep. 47 – Leif Babin Interview: What Leadership Lessons Can Politicians Learn From Military SEAL Teams? In our fun interview with bestselling author and SEAL Team veteran Leif Babin, he returns to the Conservative Book Club to discuss his follow-up book to his previous bestselling book, “Extreme Leadership.” In his new book, “The Dichotomy of Leadership,” he reveals what leadership lessons politicians and the world of business can learn from the battlefield. In our in depth discussion with ISI President Charlie Copeland, we discuss thought leadership at the Intercollegiate Studies Institute – the oldest young conservative organization – started by William F. Buckley Jr, the attack against academic freedom at the university, and the prestigious Paolucci “Conservative Book of the Year” Award! Nominations are being accepted through Nov 15. Dr. Sebastian Gorka discusses his new book, “Why We Fight: Defeating America’s Enemies – With No Apologies,” America’s greatest national security threats, Birthright Citizenship from the perspective of an immigrant, President and the 2018 Elections. In our exclusive interview with national radio host and bestselling author Eric Metaxas, he discusses why he’s now a political conservative, where we are in the culture wars, the battle for religious liberty, and his new children’s book “Donald Drains the Swamp: A Donald the Caveman Book” – which may or may not be based on a true story! In our in-depth interview with Ryan Williams – President of the prestigious Claremont Institute, we discuss his thoughtful RCP article about whether or not conservatives really needs a “new conservatism” in the Age of Trump, as much of his policy objectives and successes have made this administration the most conservative in our generation. You’ll also learn more about the influential Claremont Institute that’s leading the constitutional conservative charge! TITLE: Ep. 41 – Tucker Carlson Takes on the Ruling Class! The Fox & Friends’ co-host, Brian Kilmeade — author of the new edition of “Andrew Jackson and the Miracle of New Orleans: The Battle That Shaped America’s Destiny,” discusses his successful history book series, how Donald Trump is a modern Jacksonian, and his success on Fox News! David Limbaugh Interview: How Did the Early Christian Church Form? After their disruptive essay in “The Atlantic” was released in 2015 on the harm of trigger warnings and microagressions, Greg Lukianoff and co-author Jonathan Haidt followed up by publishing their new book, “The Coddling of the American Mind: How Good intentions and Bad Ideas Are Setting Up a Generation for Failure.” Using scientific research, they support their claims that “trigger warnings” and “microaggressions” are actually causing serious, negative repercussions that harm the students they’re trying to protect. Greg Lukianoff is the President of the Foundation for Individual Rights in Education (FIRE) and is a fierce advocate of educational freedom. In our interview with Hillsdale College’s Dr. Bradley J. Birzer, we discuss his new book “In Defense of Andrew Jackson” as he makes the case that Jackson is a misunderstood historical figure. He claims Jackson acted in ways that were consistent with the times in which he lived in. Using primary sources of news articles and Jackson’s own personal letters, he paints a more sympathizing picture of the man who has been reviled by social justice historians, and serves in many respects as a precursor to the Donald Trump presidency. Reihan Salam, the executive editor of National Review and a National Review Institute policy fellow, thoughtfully examines the state of immigration in America. As a son of immigrants, he makes the case against open borders, uses data to support his claims, and offers realistic policy solutions. We also delve into the “forgotten” immigrant class – those who actually follow the law and came to the US legally, and how conservatives should respond to ridiculous liberal claims of Republicans being of anti-immigration, xenophobes, and even racists. The Council for National Policy is considered the “intersection” of the conservative movement and is one of the most influential organizations in American politics. We interviewed their esteemed Executive Director, former Rep. Bob McEwen, about CNP, President Trump, and the state of the conservative movement. In this intimate and personal interview with Judge Ken Starr, he discussed his protege Brett Kavanaugh, whether or not Robert Mueller has exceeded his mandate in the Russian collusion investigation of Donald Trump, and his new memoir “Contempt” which analyzes the legacy of the Clinton investigations he led in the 1990s, and the personal toll that it took on him, his family, and our country. You’ve not heard this side of the story before! Fox News pundit and resident Ph.D in psychology, Dr. Gina Loudon, diagnoses “Trump Derangement Syndrome” in our exclusive author interview about her new book “Mad Politics,” with a foreword from Sean Hannity. She discusses the political, social, and cultural ramifications of Trump’s “bloodless” revolution, why he drives the Left and the Mainstream Media insane, and how we can get back on the “Path to Sanity” in a world gone crazy!